Fish oil has held the stage for decades as a good source of Omega-3 fatty acids, but krill oil has emerged as a better alternative. Why? Krill oil is easier to digest, so you are able to absorb more Omega-3s while producing fewer fish-smelling burps and stomach pains. While not true of all krill oils, Deep Ocean Krill Oil is sustainably harvested, a method which both protects the environment and requires no preservatives. 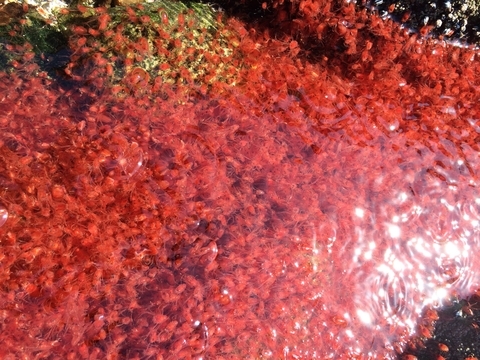 In fact, krill oil stays fresh naturally thanks to the presence of a powerful antioxidant—astaxanthin. In addition to relieving dry eyes and arthritis omega-3 may help support overall eye health, as well as brain health, heart health, joint health, and more. Deep Ocean Krill Oil offers both the benefits of Omega-3 fatty acids, and astaxanthin, helping to fight inflammation in the body. Not only is krill oil easier to digest than fish oil, it may help support overall stomach health and improve overall digestion. And one last benefit of krill oil: krill are from the bottom of the food chain, so they haven’t accumulated mercury and other toxins like fish. Deep Ocean Krill Oil is from cold, pure arctic waters where krill are free from such pollutants. Fish and fish oil do have that contamination, and you have to consider the exposure to mercury and other metals and manage your intake accordingly. Almost no fish oil supplement has a process to remove mercury and other contaminants. Deep Ocean Krill Oil is free and pure, aids digestion, and is beneficial to take daily. Boost your omega-3 levels with Deep Ocean Krill Oil. Previous post: Are You B12 Deficient?